HTC, a pioneer in innovative, smart technologies, today announced plans to bring mass-market virtual reality (VR) one step closer. Through a strategic partnership with Valve, HTC promises to transform the way in which consumers interact with technology and the world around them with the debut of HTC Vive. 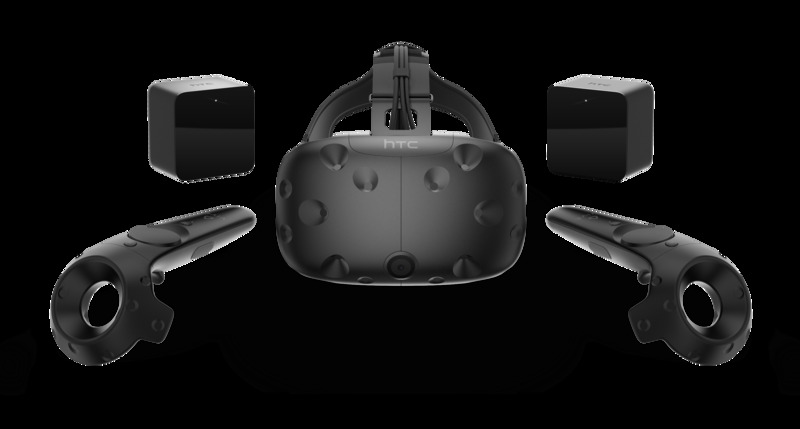 HTC Vive Developer Edition will be launched this Spring, with the consumer edition available by the end of 2015. Vive combines Valve's Steam VR tracking and input technologies with HTC's world-renowned design and engineering talent, setting a new gold standard for an industry that has, until now, struggled to move beyond concept stage. 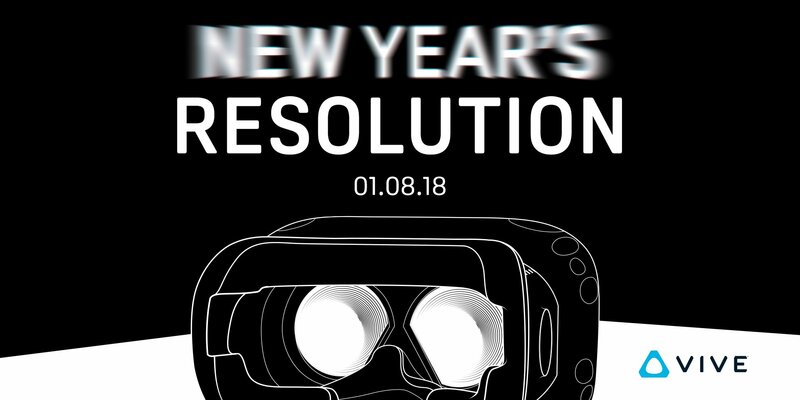 Cher Wang, Chairwoman of HTC commented, "It's rare that a company has an opportunity to forever transform the ways in which people interact with the world and communicate with each other, but that is exactly what we plan to do with Valve." "We achieved this once before with our development of smartphone technology," Peter Chou, CEO of HTC added, "And, through our partnership with Valve, we'll now be doing this for a second time with VR technology of which consumers could only previously dream." Vive offers the most immersive experience of any VR package, plunging people into other worlds at a moment's notice. HTC and Valve have introduced a Full Room Scale 360 Degree Solution with Tracked Controllers, letting you get up, walk around and explore your virtual space, inspect objects from every angle and truly interact with your surroundings. Setting a new benchmark for performance, the headset features high-quality graphics, 90-frames-per-second video and incredible audio fidelity. Beta versions of the Vive Developer Edition have already generated rich entertainment content from some of the world's top game developers including Vertigo Games, Bossa, Barry–Fireproof, Dovetail Games, Wemo Labs, Google, Steel Wool Games and Owlchemy. "Vive creates an exciting opportunity for all developers and content creators, to help us bring virtual reality into the mainstream with an end-to-end solution that completely redefines how we entertain ourselves, communicate with each other, learn and, eventually, how we become more productive," Cher Wang concluded. "HTC Vive is real, it's here and it'll be ready to go before the start of 2016." We are proud to announce, in partnership with Valve®, the unveiling of the consumer edition of the ViveTM virtual reality system powered by Steam®VR. The countdown has begun and is ticking away toward 10 a.m. Eastern time on Monday 2/29 at which time pre-orders will open worldwide with pre-order fulfillment and full commercial availability starting early April 2016. Vive will be delivered as a complete kit allowing users to instantly jump into a fully immersive virtual environment using two wireless controllers, 360 degree tracking and room scale movement sensors.The integration of SteamVR into the bundle ensures that all Vive equipment is kept up-to-date with the latest features. 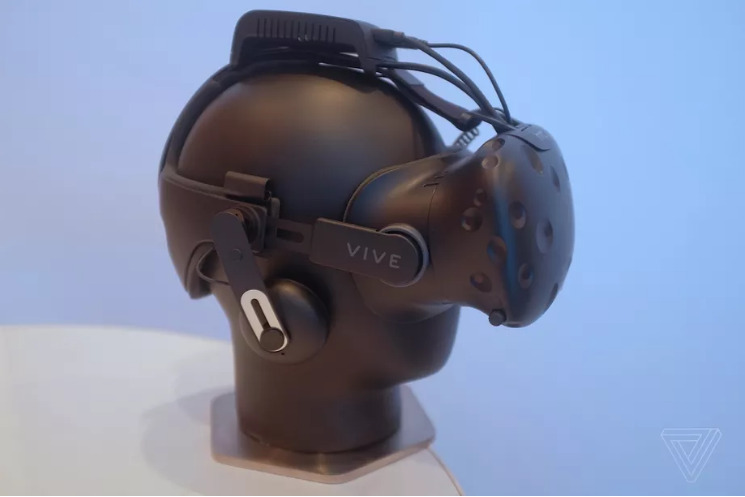 Taking Vive one step further, with refreshed branding and an updated head strap, the Vive consumer edition builds upon the innovative features that were introduced into the Vive Pre. The consumer edition of Vive also integrates phone functionality. Enabling you to stay connected to the real world, without exiting the virtual world, Vive Phone Services demonstrates the ability to combine both realities without losing touch of either. By allowing you to receive and respond to both incoming and missed calls, get text messages and send quick replies and check upcoming calendar invites directly through the headset, it opens up a whole new world of possibilities for both consumers and businesses. The Vive will be priced at $799 and for a limited time the consumer edition will also ship with two fully-fledged VR experiences to get you started in the virtual world. Job Simulator, by Owlchemy Labs: In a firmly tongue-in-cheek world where robots have replaced all human jobs, step into the ‘Job Simulator’ to learn what it was like ‘to job’. Fantastic Contraption, by Northway Games in collaboration with Radial Games: Imagine walking around a grassy island floating in the sky, building a machine the size of a horse with your own hands, then watching it roll out into the world. But it’s not just about gaming. In addition to these launch titles, HTC is working with developers to foster the creation of content that spans multiple sectors including entertainment, retail, education, design, healthcare and automotive that will ultimately transform people’s lives. It's nice that the Vive needs only one USB 2.0 slot instead of the three USB 3.0 ports that Oculus demands. I have a feeling Oculus is probably going to use more CPU as well due to their camera solution, but I am just guessing as they both seem to require the same Intel CPU but only HTC recommends an AMD one. This news is from a few months ago, but I'm posting it now before I post today's news. Valve brought out its new controller prototypes at Steam Dev Days and attendees are getting hands-on demos. The new controllers strap onto the hand like a glove but feature an outer ring covered in tracking sensors. The design should allow people to grasp and drop objects in VR realistically. For the demo, Cloudhead Games built a version of its beach environment from The Gallery: Call of the Starseed with a bunch of items for people to grab. The prototype should not be seen as a confirmation of a future hardware direction for Valve or its partner HTC. That said, the current HTC Vive controllers include awkward grip buttons on the side that are hard to reach and don’t make much sense since you are already grasping the controller. With these prototype controllers, however, you can release your grasp to drop something virtually to the floor and your hand remains strapped to the controller. We’re also told the prototype has some ability to recognize finger positions, which is an important feature of the forthcoming Oculus Touch controllers. 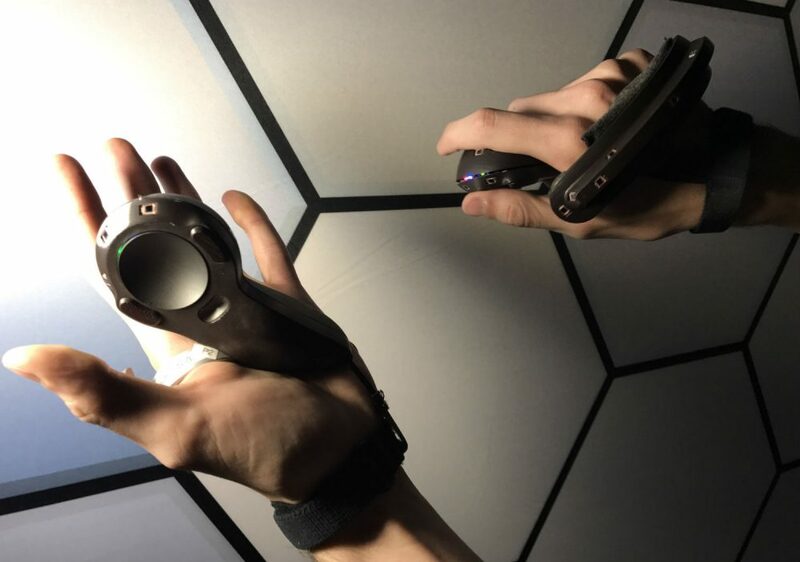 Developers going hands-on with this unnamed hardware prototype will likely give Valve valuable feedback the company can use to hone in on controllers which might be better built for grasping or gripping objects. So it's basically the old Vive controller + the finger tracking of Oculus Touch + the ability to completely let go of it. 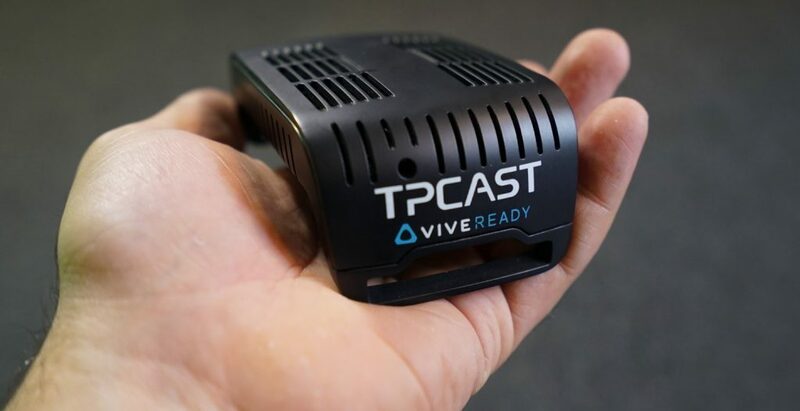 Last month, HTC quietly announced a peripheral called TPCast that professed to provide wireless functionality to the Vive VR headset, which ordinarily requires you to be tethered to a PC with a thick, lengthy cable. Designed and built by a startup inside HTC’s Vive X accelerator program, it’s only available to order in China for now, but it’s coming worldwide soon and is at CES this week. I just tried it out. Does it work? Yes. Because of the immense bandwidth required just to get a high enough framerate on the Vive headset itself, I was expecting wireless VR to be quite a bit further away than this — even wireless monitors aren’t really practical just yet. But the TPCast works without much, if any, noticeable lag. There were occasional skipped frames, but that could have been down to tracking interference in a crowded demo area; I sometimes see similar minor glitches with my own Vive setup at home. The best thing I can say about the TPCast device is that, through a series of varied Vive demos from an educational science app to a fast-paced first-person shooter, I often forgot I was using it. And that is to say it makes the regular Vive experience better. I never forget I’m using the normal Vive, because its cable is heavy and requires constant attention to avoid getting tangled up in. Assuming the TPCast device works as well in practice as it does in a demonstration environment, it really could change the game completely for room-scale VR. There are issues, of course. Battery life from the larger 6,000mAh cell is rated for 2 hours, which is longer than most VR sessions but will be something users will need to keep track of; the battery died right at the beginning of my demo session and had to be replaced. And that battery means that this iteration of the TPCast isn’t entirely wireless — there’s still a cable running out of the headset, with the battery designed to be stuck in a back pocket. The device is going to be a lot less practical for someone wearing a dress than for someone wearing jeans. It’s also going to cost $249 in the US, which is quite a lot to pay for a wireless adapter for anything. But we’re still in the early-adopters-throwing-money-at-fun-ideas phase of VR, and HTC might find it has more than a few people willing to pay when it puts the TPCast on sale in the second quarter of this year. The company is committed to exploring other wireless solutions, too — it also announced a WiGig-based collaboration with Intel that we’ll hopefully get to check out later this week. The Vive Tracker, available in Q2 this year, enables motion tracking for entirely new form factors within the VR world. It is the the foundation for building a new accessories ecosystem for  Vive. In fact, there are many partners in our space at CES showing off their Vive Tracker integrations including multiple rifles built for VR shooters, a baseball bat, a firehose and haptic gloves for a truly immersive VR experience. We’ll be showing you a sneak peek at some of these apps and products during our Live Stream happening both Thursday and Friday from 12-2pm PST. At its core, the Vive Tracker will integrate with any number of future VR accessories via a simple connection, ensuring developers and consumers will have a single accessory to unlock thousands of new experiences . The Tracker weighs just under three ounces (85g) and is 99.65mm (Diameter) x 42.27mm (Height). The Vive Deluxe Audio Strap is designed with adjustable headphones, allowing you to enjoy even more comfort and convenience. The headstrap features integrated headphones and a new customizable sizing dial for quickly adjusting the fit of the headstrap, ensuring a tighter and more comfortable fit. The Deluxe Audio Strap will also be available in Q2. Pricing for both the Tracker and Deluxe Audio Strap will be announced soon. Wireless and VR - We showcased a product many of you may have heard about recently from TPCast, a wireless adaptor which was incubated through the Vive X accelerator program. It includes a one and a half hour battery, and latency as low as 2ms. TPCast will be shipping in Q2 2017 and will retail for $249 USD. I probably should have posted this first -- it's the launch trailer for the HTC Vive. Hardly shows any real games, but it demonstrates the mixed reality technique that has become useful for showing (as best as possible) what playing a room-scale VR game will be like. It's clear that at some point Oculus and Valve's cooperative spirit fell apart. It could be that Oculus and Valve disagreed on what VR should be: The Rift and Vive certainly offer different experiences. But it's also been suggested that communication from Oculus ground to a halt in the months after the Facebook acquisition, which forced Valve to explore other paths. It's unlikely that anyone will go on the record to confirm that for years. All we know is that in early January, Luckey was reportedly calling Valve's tech "the best virtual reality demo in the world," and by late spring, HTC and Valve were meeting to hammer out a deal. I don't know or care what really happened, all I know is the competition between the two headsets has made them both awesome. If this does not support the Oculus Rift, Vive has basically buried Oculus into the ground. Does TPCast’s Vive Wireless Upgrade Kit Work? Based on our five hour play session — which ran the battery flat — it appears that it works as promised. We didn’t notice any difference in motion to photon latency while sampling VR experiences like Google Earth VR, Tilt Brush and Valve’s The Lab. There were, however, instances where we noticed artifacts in the virtual scene, which momentarily reminded us that the headset was indeed wireless. These artifacts, which looked like a lower resolution streaming video, were momentary and mostly negligible to the overall experience of enjoying completely wireless room-scale VR. The artifacts were also hard to replicate by repeating movements or positions that we suspected might’ve been responsible for causing them. The most prevalent technical difficulties we dealt with was the connection between the physical wires on the headset, the receiver, and the battery pack. One of our testers, a gymnast, did some ridiculous physical maneuvers, such as flips and handstands, and at one point the unit fell off his head mid-flip. The TPCAST crew were able to get the headset back up and running quickly. While we had enough time to quickly film these insane physical movements with the wireless headset, we unfortunately didn’t have the time to set up a proper test that would have used both a wired Vive and a wireless one to see if people could tell which was which. It seems the location and setup for the transmitter will prove to be a crucial detail in having a seamless experience, similar to finding the right places to mount the Vive lighthouses. TPCAST says that the transmitter can be mounted above the lighthouse to minimize the overall real estate taken up by trackers around the house. To get the best results, however, you’ll need to have the transmitter in the middle of the play space facing downward, according to the startup. Dealing with forms of wireless interference could be another potential headache, but we didn’t see the headset having issues despite how much metal we had in our room (tripods, lights) as well as wireless mic systems. The headset felt lighter with the receiver on that it does with the Vive’s thick cables pulling at the back of your head when tethered to a PC, and I didn’t note extra heat on my head during my playtime. One of the startups in HTC’s Vive X accelerator is releasing an upgrade kit that will add eye tracking to the Vive virtual reality headset. The Beijing-based company 7invensun will open preorders for its aGlass lenses next month, selling them in China for the equivalent of around $220; according to UploadVR, they’ll be sold internationally around the third quarter of 2017. 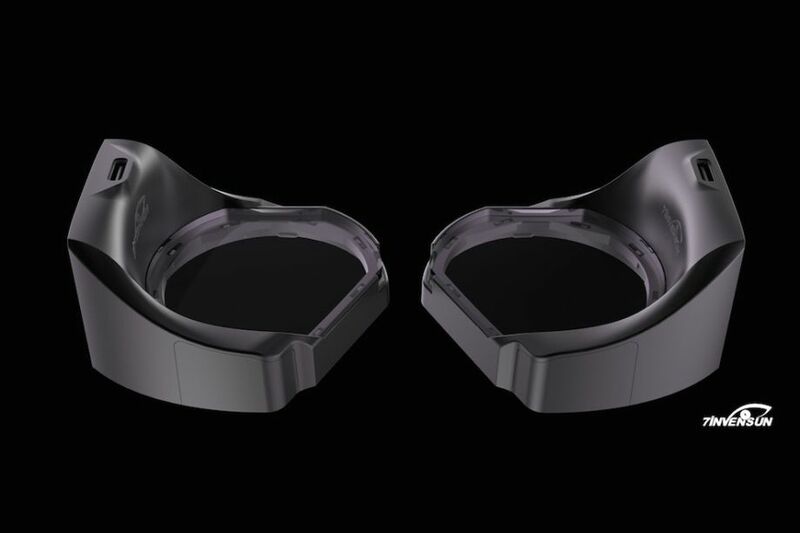 The aGlass consists of two eyepieces that the “average VR user” can fit inside the HTC Vive’s face mask, including three pairs of interchangeable lenses. The eyepieces are connected to the Vive via USB, which will allow the headset to track pupil movement via sensors and infrared lights. It’s an example of HTC’s plan to expand the Vive ecosystem with third-party accessories, including custom controllers and other upgrade kits. Several companies are working with eye tracking and VR, including headset maker Fove; major eye tracking company Tobii; and the startup Eyefluence, which was acquired by Google last year. The is the first time we’ve seen an eye tracking system made expressly as an easy upgrade to a major headset like the Vive, however. Having not tried aGlass, we couldn’t say how well it works, but eye tracking is a potentially very useful addition to VR. You can use it to dial back the graphical quality of images when people aren’t looking at them — a technique called foveated rendering — to wring better performance out of lower-powered computers. Tobii has used non-VR eye tracking to enhance the experience of playing games like Assassin’s Creed Syndicate, and Fove has used it to play some clever narrative tricks. If aGlass works well, it will make it easier for more people to experiment with the technology on a major VR platform. dex3108 wrote: And this is why open source VR is good. Not sure open source means what he thinks it means.